Our bases in Bishopbriggs & Stirling offer a central location where families can bring their preloved children’s toys, clothing & equipment. We ask that these donations are in good, clean condition, complete & undamaged & suitable for passing on to another local family. CLEANING items that need freshened up before they can be passed on and RECYCLING items that we cannot use. 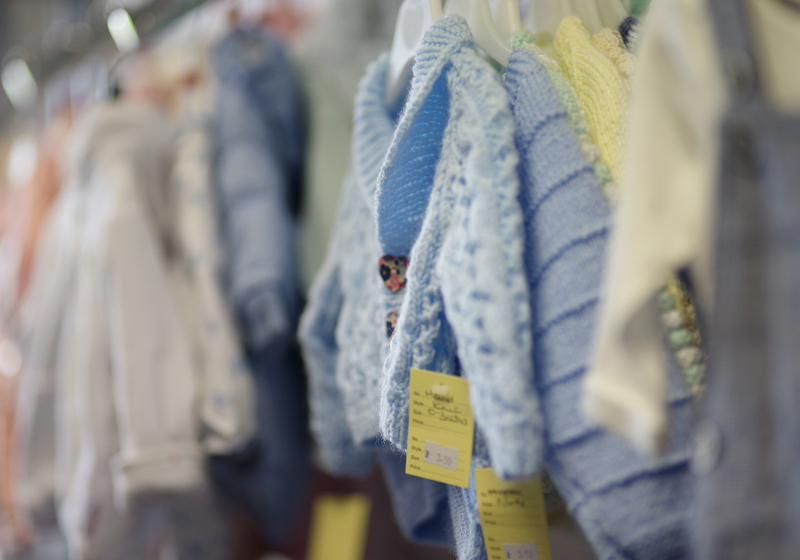 We accept clothing & toys from birth to 16 years. All clothing should be freshly laundered. If clothing has been in storage please consider washing it again before donating to us, as we do not have a washing facility therefore these clothes will be recycled. If you have a lot of items to donate, it would really help us if items are checked to ensure all pieces are complete and in good condition we cannot pass on broken toys or toys missing pieces. At the moment we are receiving a high volume of broken toys which are not useful to us and cost us to dispose of. We pride ourselves on passing on items in great condition. It makes all the difference to the family on the receiving end. If you are not sure whether your donation is suitable or not, a good test is if you would give it to the children of a good friend? If the answer is yes, we are happy to receive it. But if you are still unsure drop us a message to confirm, this saves you a trip to us which possibly ends in rejection on the doorstep. Please drop us a message regarding prams or larger items before you make a trip over to us to confirm we will accept them. Prams need to be free of rust and free from mould, if they have been in storage for a long time we ask that you give prams a clean before you bring them as again we do not have sufficient washing facilities to do this and therefore will need to reject them on the doorstep.